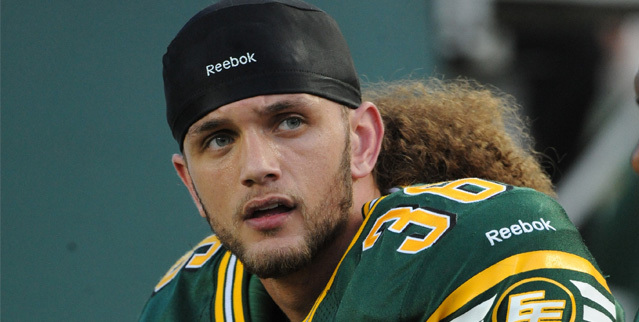 (Edmonton) - The Edmonton Eskimos have re-signed international defensive back Aaron Grymes through the 2018 season. Grymes re-joined the Eskimos midway through the 2017 season following a two-year stint in the NFL with the Philadelphia Eagles and appeared in six games where he recorded 31 tackles and one forced fumble. In two playoff games, Grymes recorded eight tackles. In four CFL seasons, all with Edmonton, Grymes has appeared in 49 games where he has recorded 123 tackles, eight interceptions, one quarterback sack, one forced fumble, and one touchdown. In 2015, Grymes was named a West Division and CFL All-Star. Best cover guy in the league. Esks 2nd vs the pass & Grymes there for full year. All other starters on board. Good news for Edmonton. One of the final pieces for the 2018?Grey Cup Champions at home your EDMONTON ESKIMOS !